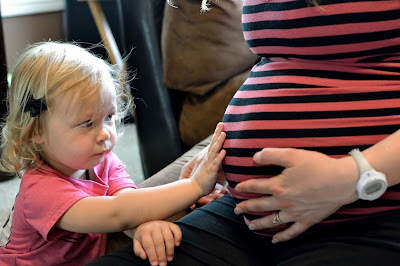 Since this "green" blog of mine has taken a turn towards becoming a "pregnancy blog" lately, it's only fitting that we continue with the pregnancy topics and discuss everyone's favorite...pregnancy weight gain. Gotta love it, right? Wrong! I know as a pregnant woman I am supposed to accept that my body will grow bigger to help support the miracle of life that is growing inside of me, but that doesn't mean that it comes easy...especially mentally. I feel like we're conditioned as a society to want to be slim and trim. I mean entire shows are devoted to helping people achieve their weight loss goals. On other occasions, we celebrate when people lose 3 lbs, 5 lbs, 10 lbs and up, but when we're pregnant, we're supposed to un-do all that thinking and gladly accept the fact that we are gaining more and more weight each month? I don't know about you, but undoing 28 years of thinking one way, for 10 months is a bit hard to do. Here's a closer look at the changes my body has gone through in the past 33 weeks (while of course wearing the same shirt, to really see the the comparison). So as you can tell, pretty dramatic, at least to me. So how do I cope with the fact that the body I once had, has now changed and grown and is bigger than ever before? Well, like I said before, the blanket statement given to expecting women is that we should be okay with the weight gain because it's FOR THE BABY. And while I want to do nothing more than ensure a happy, healthy baby, sometimes it gets a little tricky to still feel good in my own skin when I'm changing and growing faster than ever before. 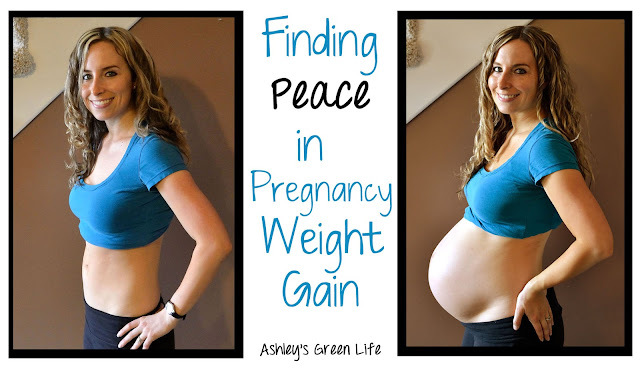 So today I'm going to share the top 8 tips that I've found to help find peace, both mentally and physically, when it comes to gaining weight during pregnancy. As you'll see by the tips, the goal is NOT to avoid weight gain or prevent it from happening, but to come up with a way to shift our focus and take some proactive steps to help us feel better on this roller coaster journey we call pregnancy. Don't have time for the video, scroll below and continue reading. Tip #1: Don't weigh yourself. As tempting as it may be to see (in real numbers) the actual growth taking place in my pregnant body, weighing myself is something I avoid all together during pregnancy. I probably sound like a crazy rebel for this one, but I find it has been very helpful in supporting a peaceful mindset during both my pregnancies. Now when I was pregnant with Avery, I weighed myself once or twice in the early months just because I thought I was "supposed" to do that and all it did was mess with my head. "Two pounds?" Is that good? Is that bad? Is that enough? Is it too much? I still have 8 months to go, if I continue at this rate..." You get the picture and if you are or have ever been pregnant, I'm sure you can relate. Who knew some numbers on a scale could have so much power on us? 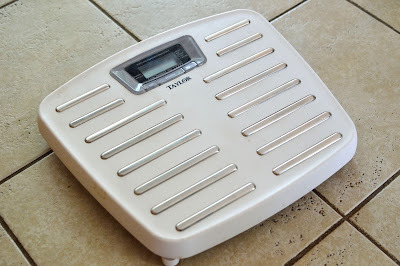 My dusty scale that hasn't been used in 33 weeks. Anyways, after talking with my midwife (during Avery's pregnancy) I realized that I did not need to weigh myself, instead she had other ways to track that I was growing (by measuring the baby's fundal height) and just physically assessing the baby and my own growth. Whew, what a relief! 1- There's nothing I can do about it at that point, because it's the end. 2- I couldn't care less about the number because I'm about to meet my baby. 3- I was able to have 10 months of "peace" without crunching numbers and calculating just how big I had gotten or how potentially big I was going to get. So, until the day I go into labor with Baby Mila, I will have no idea what I weigh. Maybe it will be more than Avery, maybe it will be less...who knows?! All I know it will be just right for Baby Mila and I and that is okay. -discuss with your OB if this is necessary and if you could avoid this and use other ways of measuring your weight. Obviously if you have a medical condition and need to weigh yourself, continue to do that, and instead find a few other tips below that can work for you. Tip #2: Workout daily in a way that you have no excuses not to do. After my last post about my "Prenatal Workout Routine", it's no surprise that working out daily (or as often as you can) is not only beneficial to your body but also to your peace of mind. The primary reason I believe this is that it helps you feel PROACTIVE to the weight gain instead of REACTIVE. Instead of just sitting around and hoping I won't gain a whole lot of weight, I can do something to counteract at least some of the weight. Prenatal yoga always brings a little peace of mind. Other reasons working out daily is a helpful thing to do is because it keeps your body healthy and active, keeps your endurance up for labor, helps your mental state, and makes it easier to get back in shape once the baby is born. Just one warning though, you have to change your perspective a bit with the workouts because it feels like an uphill battle. In "pre-pregnancy world" we were able to see results and positive changes in our body. But when you're pregnant, you could have some great workouts, but instead you continue to grow bigger. Hold the faith, trust that what you're doing is not only good for your body, but also for your baby. Tip #3: Eat when you're hungry, on food that makes you feel good. No choice here, cutting calories, or restricting yourself is not a healthy thing to do during pregnancy for obvious reasons, so replace your need to control or restrict food with finding healthy options to fill your hunger needs with. Also, accept that changes in appetite are just part of the process. During pregnancy, babies go through growth spurts and as a result, our appetite changes. Pay attention to those changes and listen to your body. It's simple, when you're hungry eat...make it food that makes you feel good. I eat food" is definently fruit. If you have to, make a list of how you feel after you eat certain foods. In one column, write down all the foods that make you feel GOOD. In the other column write down all the foods that make you feel BAD after you eat them. Then steer yourself to those foods in the GOOD column. 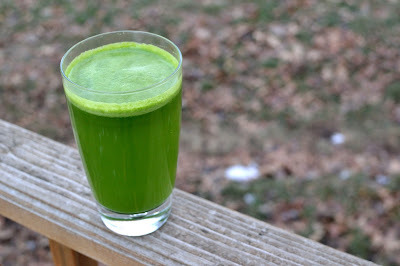 My "Daily Green Juice" always makes me feel good. Tip #4: If you're going to eat sweets or junk food, which give us the most guilt, make it yourself from scratch. 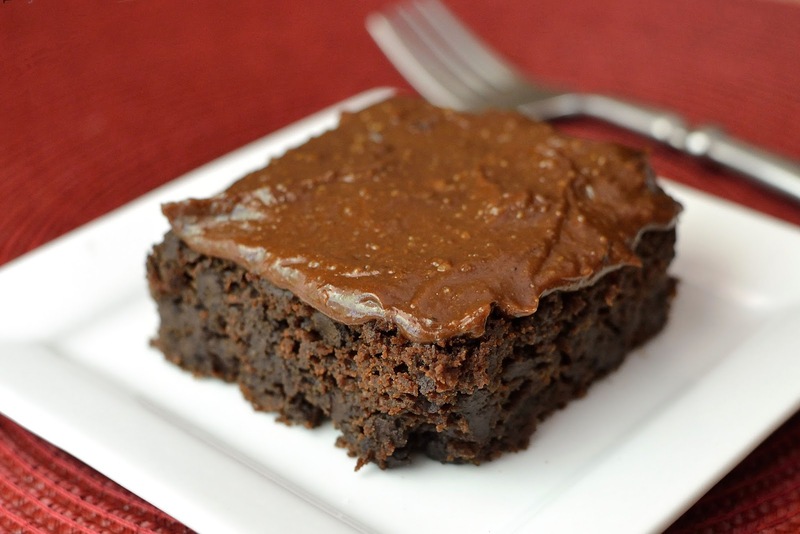 Chances are you can reduce the sugar, fat and calories just by doing this one step. 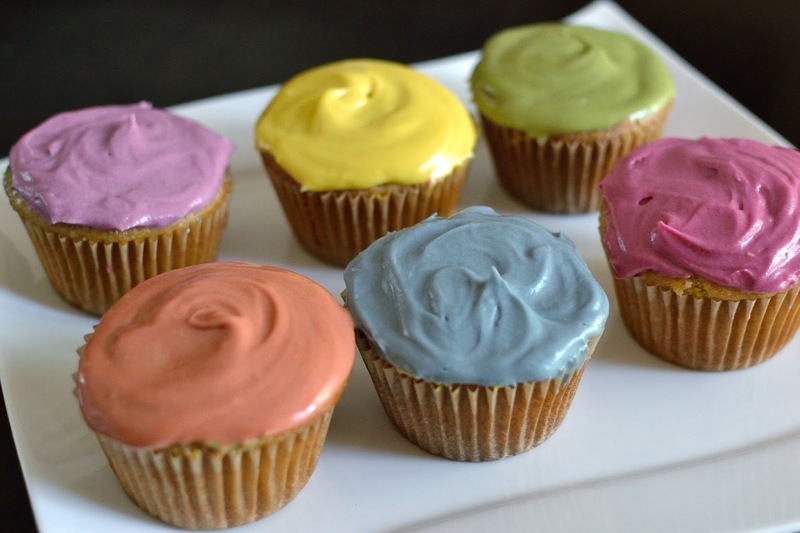 Whether it's cupcakes or french fries, challenge yourself to make them from home. By making them at home you can also start to swap out traditional ingredients for healthier alternatives. Tip #5: Invest in a few clothing items that you can wear often and in different ways that make you feel good. There's nothing quite like trying to SQEEZE into a pair of pre-pregnancy jeans or even a shirt from the earlier months of pregnancy that is too tight, and just rubs you wrong all day long. Instead invest in a few maternity clothing items that you can wear often by dressing up or dressing down that make you feel good...instead of trying to be something you're not. The tricky part for me is that pregnancy is such a short time, so my inner "budgeting/money-concious mind" often finds it hard to rationalize spending a fortune to build an entire new wardrobe that I will only be able to wear for a few months. I'm sure others out there can relate. But when I find that all the things I have to wear make me feel BAD about my pregnant body, then it's time to do some shopping and at least get a few clothing items that I can wear and feel GOOD in. Because even though pregnancy is a short time, 10 months is a long time to be uncomfortable in your clothes and feel bad about the way you look. One last tip in this area is to release the pregnancy deadlines that you might be holding in your mind of, "I will NOT wear maternity clothes until I reach 2nd trimester or 20 weeks, or whatever time you have set in your head." If you're body is ready for maternity clothes or the next size up before hitting your "self-imposed deadline" support it's growth and embrace those changes. So what...you're wearing maternity clothes at 12 weeks...it's okay. The way you feel when you get dressed and slip on those maternity jeans instead of pushing, tugging, bending and stretching to get those pre-pregnancy jeans on...will be worth it's weight in gold not only for your body, but your mind as well. 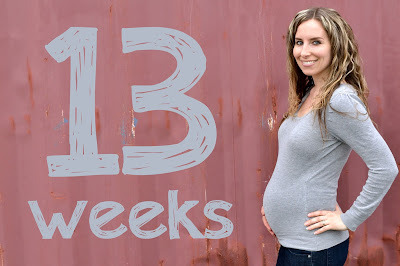 Tip #6: Accept the way you look and grow during pregnancy is unique to you, in other words, try not to compare to compare yourself to other pregnant mamas or even your own other pregnancies. Some women carry babies higher, lower, bigger, smaller, etc. it seems like society has some pre-conceived notion of "You are this many weeks pregnant, so you must look like this..." and if you are any bigger than that then you must be eating too much, and if your smaller than that then you must be starving your baby or not caring for yourself enough. Us poor pregnant women just can't get a break! I'm sure some of you reading this post, may think "She's so big for 33 weeks, no wonder she needs to talk about pregnancy weight gain." Or others may say, "She's tiny for 33 weeks, I was double that size, so she has no room to talk about gaining pregnancy weight!" Like I said, when we're pregnant, we just can't win. We can't please everyone or fit into their image of what we SHOULD look like at any given point in our pregnancy. So why try? Let it go! Case in point, pregnancy #1 with Avery, compared to pregnancy #2 with Mila...my body and belly showed much earlier. Here I am at 13 weeks in this pregnancy with Mila. Quite a change as you can tell just between my two pregnancies, so don't even throw other women's pregnancies in there because who knows how I would rank! The only person who's opinion I trust in telling me how I should look is my midwife, and as long as she feels like I am a healthy weight, and my baby is healthy and growing...then that's all that matters. So resist the urge to Google "33 week pregnant belly" to see how you "rank" and just accept what your's looks like and that it is perfect for YOU! 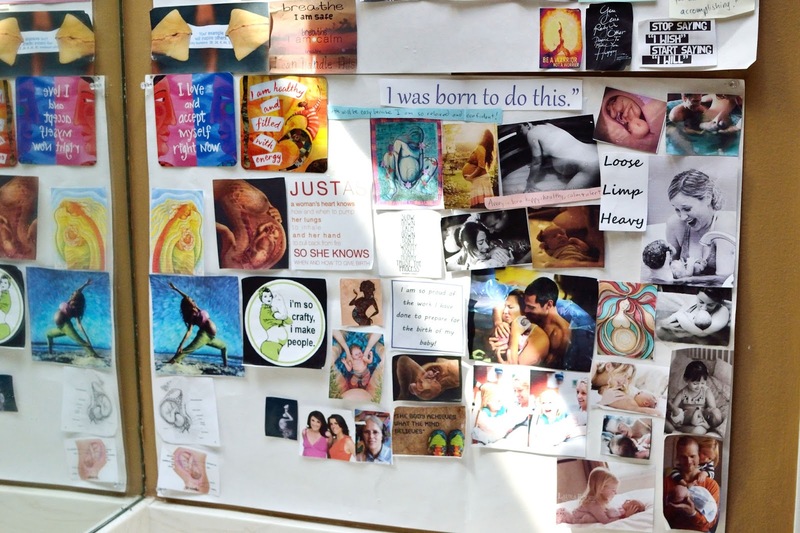 Tip #7: Make a list or vision board of positive pregnancy affirmation to recite daily or as needed when you need a mental boost. 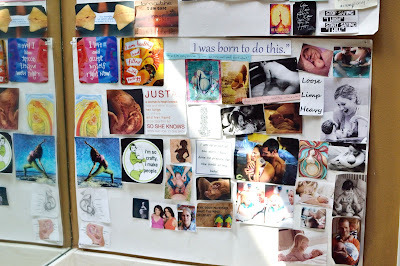 I've got a vision board in my bathroom that is full of natural birth quotes, pictures, and images, but it is also full of positive pregnancy quotes too. Most of these I've made up, found off Pinterest, or borrowed from other birthing books. 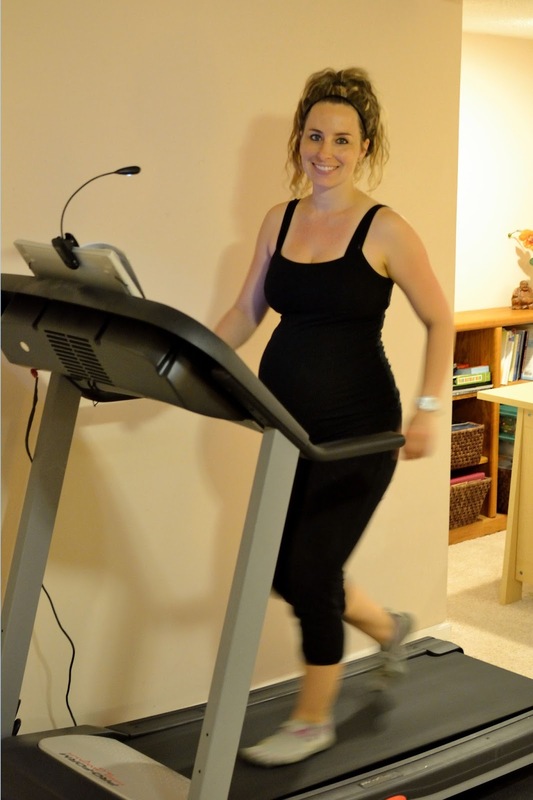 "My body and baby are growing exactly as they need to be." "I am beautiful and glowing"
"I love and accept my pregnant body." Tip #8: Know that pregnancy is only for a short period of time. When you are in the midst of your pregnancy journey, 10 months seems like a long time, but take comfort in the fact that you have the whole rest of your life to be fit and trim. Know that this short and miraculous phase of your life will soon come to an end and life will return to normal. Since I have photos of my journey back to my pre-pregnancy body (from my "Body After Birth" post), I look at them often probably as proof in my mind that "I can and will return to my pre-pregnancy weight. I did it once before, I can do it again. And, again, I have the whole rest of my life to be fit and trim." Also, instead of stressing about the changes, this is a time when I push myself to feel gratitude for being pregnant. I know so many women try and try to get pregnant and are never able, or the journey is not an easy one and for me to be able to go through it makes me feel very fortunate. Even though it may get uncomfortable at times, at least I can know I am a part of something bigger, something amazing...I am growing a human being inside my body! My own child, whom I will love for the rest of my life, and although the sacrifice of giving up my body, so to speak for 10 months, may seem rough from time to time, I know that it is so worth it. I'm going on and that my family is going on with me. *Last, if you feel overwhelmed or overburdened by your the changes your pregnant body is going through, find someone who you can talk to whether it be a friend, family member, midwife, counselor or therapist to get the help you need. 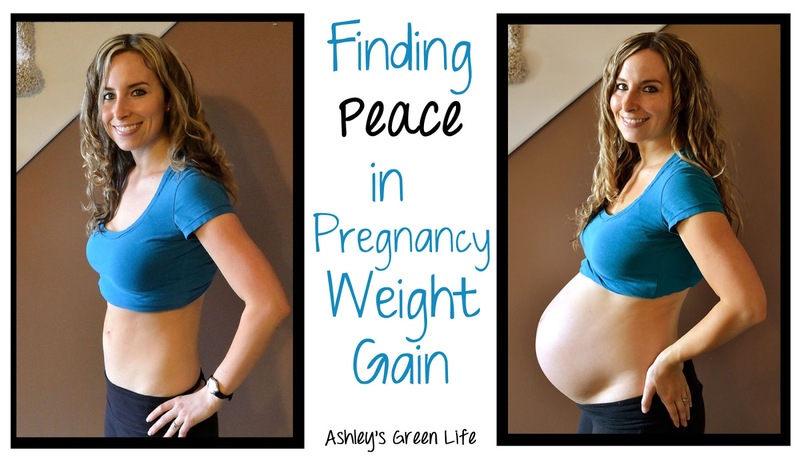 So there you have it, my top 8 tips for finding peace both physically and mentally with pregnancy weight gain. If you have any more tips or experiences to add feel free to share them below, so we can all continue to learn and support each other on our pregnancy journeys. Thank you for writing this! 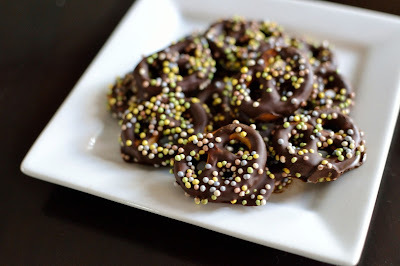 I love finding like-minded mamas when it comes to the pregnancy weight issue.